The meal for us Indians is not complete if it isn't followed by Buttermilk popularly termed as Chhash or Mattha. It has become the ritual to drink buttermilk with the meal for every Indian. 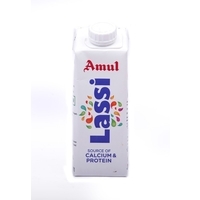 Amul Masti buttermilk is a spiced and salty buttermilk. 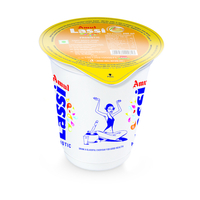 It is produced in a very hygienic and clean atmosphere and is available in tetrapak at an extremely affordable price. 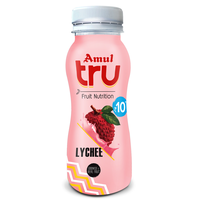 The speciality of buttermilk by Amul is that it improves digestion as it consists scientific bacterial culture. 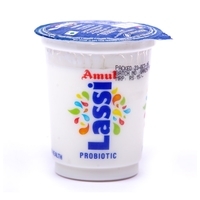 The meal for us Indians is not complete if it isn't followed by Buttermilk popularly termed as Chhash or Mattha. It has become the ritual to drink buttermilk with the meal for every Indian. 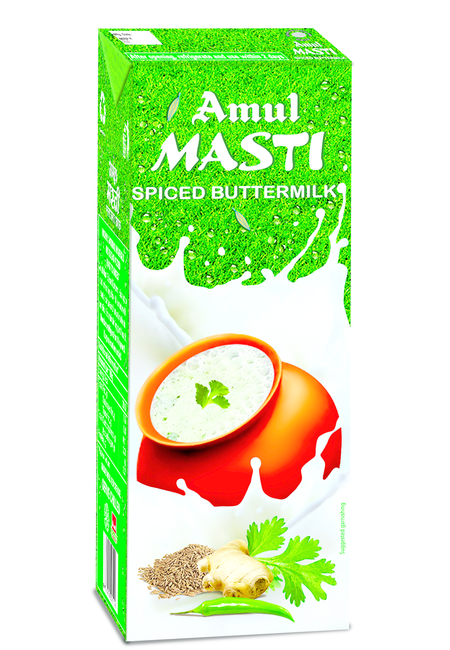 Amul Masti buttermilk is a spiced and salty buttermilk. 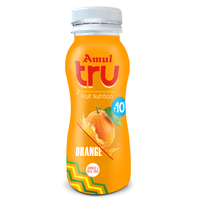 It is produced in a very hygienic and clean atmosphere and is available in tetrapak at an extremely affordable price. 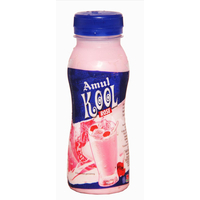 The speciality of buttermilk by Amul is that it improves digestion as it consists scientific bacterial culture. 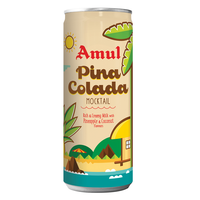 Tastes best when chilled.